The most addictive game of touch phones, now on your PC! In Angry Birds we take control of a flock of birds that have the mission of recovering their nest eggs, that have been stolen by evil pigs. The goal of the game is to complete the levels, each of which consists of shelters formed by glass, wood, stone and other materials, where the pigs try to hide. With the help of a slingshot we aim and throw the birds against the structures to destroy them and thereby eliminate all the pigs of the level. Spend hours of fun with this clever and fun game! Download it now from our servers quickly and securely. 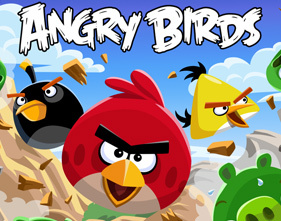 Soft4Click Com informs that Angry Birds 4.0 should be only used in accordance with the rules of intellectual property and the existing Criminal Code. The inclusion of any keygen, serial or crack is not allowed and disclaims any liability for the inappropriate use of this software.